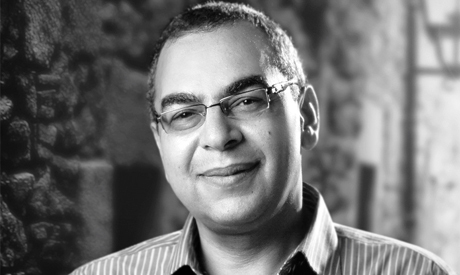 Renowned Egyptian author Ahmed Khaled Tawfik died at 55 on Monday at a Cairo hospital. Best known for his pocket series Ma Wara Al-Tabia (Metaphysics), Tawfik is widely considered to be Egypt's first horror writer. The news of Tawfik's death came as a shock to his readers. The late author was born in 1962 and was a medical doctor before he turned to writing. He was one of the earliest Egyptian writers to specialise in horror, science fiction and fantasy, and his work included both illustrated books and novels. His distinguished style attracted wide and diverse readerships, but were mostly people who grew up reading his entertaining books, often finishing in one sitting, before he moved on to write longer books and novels. His 2008 novel Utopia was a great hit and a continuation of the success that his Metaphysics series achieved. His passion for horror writing was met with obstacles as publishing houses did not think that the genre had a readership in Egypt. When he first introduced the draft of his book The Legend of the Vampire in 1992, it was rejected, and he was told to instead write action and police fiction. Tawfik insisted and pursued his passion until the publishing house formed another committee to review his work, and this time it was approved. The horror author's books became a hit among young people such that they got to know the protagonist, Dr. Refaat Ismail, and would wait for his adventures every month, like any other star. His first books came to light via another famous Egyptian writer named Nabil Farouk.